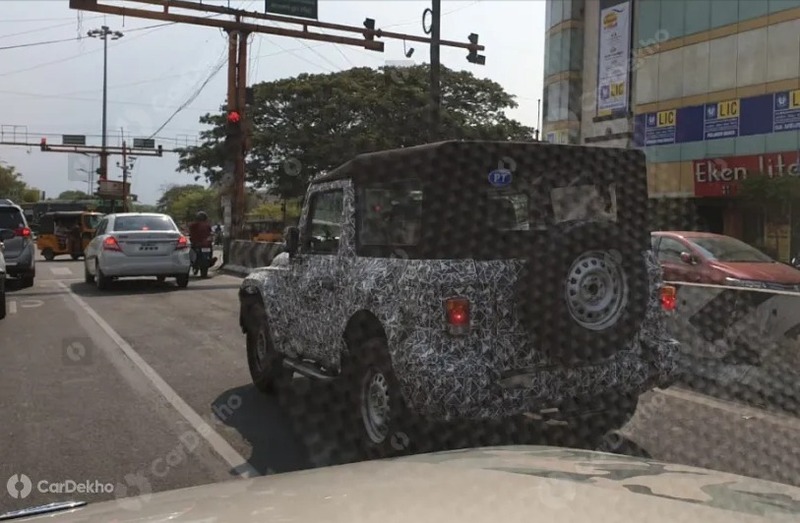 The Mahindra Thar could be getting a midlife facelift. While the it has the iconic jeep traits, fit finish and interiors left a lot to be desired. 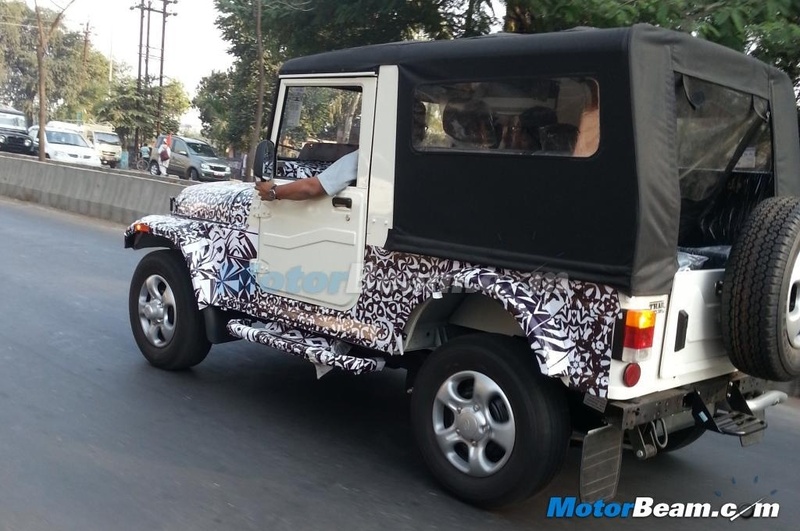 Thar test mules with partial camo are doing the rounds around Nasik. Buzz is that it could get new dashboard and a factory fitted hard top as well. Currently the Mahindra Thar is offered with two engine options, a 2.5-litre CRDe (105 HP, 247 Nm) and 2.5-litre Di (63 BHP, 182.5 Nm). Both models are offered with 4-wheel drive while the base Di variant comes with 2-wheel drive. 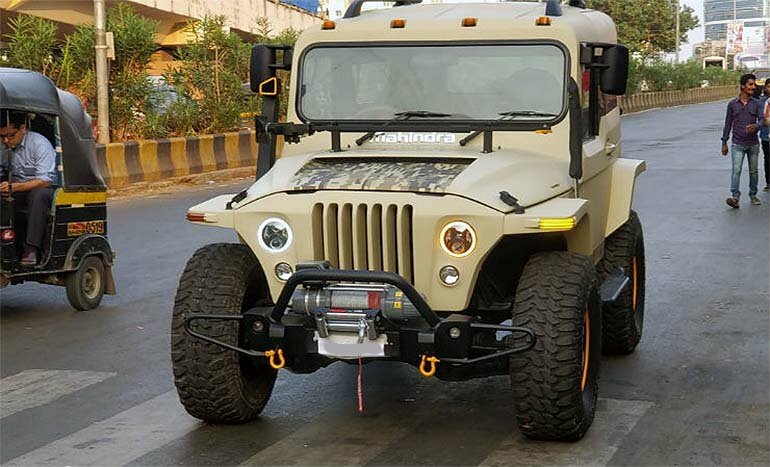 Measuring under 4-metres in length, Mahindra could plonk in the 1.5-litre, 3-cylinder diesel mill from the Quanto which will help them get excise duty benefits and price the updated Thar aggressively. The said motor outputs 100 BHP and 240 Nm and will soon be matched to an AMT gearbox on the Quanto. 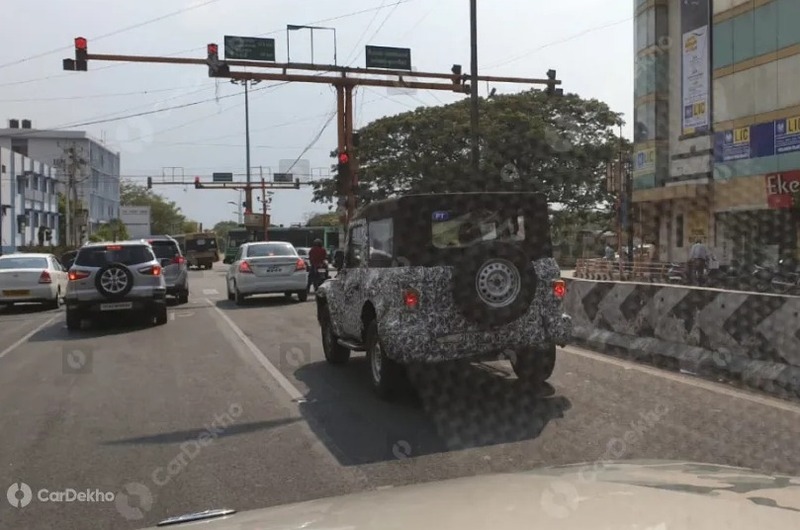 The Mahindra Thar is likely to get added features and the utilitarian interiors will feature some creature comforts, including vast improvement in quality. 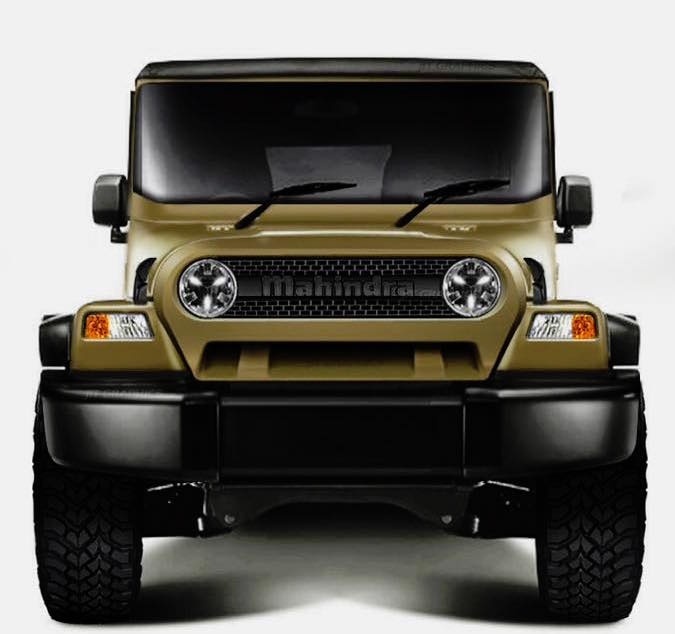 Good to see Mahindra treating the Thar as its other models and updating it time-to-time. I am sure they will retain the orignal iconinc shape. It needs a smoother and more poweful engine for sure. Waiting for this one & want to see higher levels, much higher levels of refinement. The Mahindra Thar has been here for quite a time now and the only upgrade it got was a HVAC at a later stage. 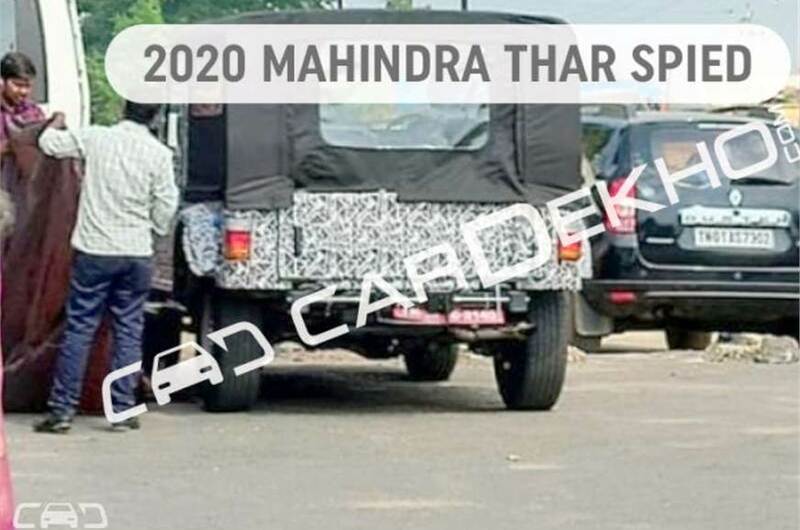 According to reports floating on the cyberspace, Mahindra is planning to launch the updated model soon and here on this page we have some of the images of the updated Thar which has apparently already reached some dealerships. 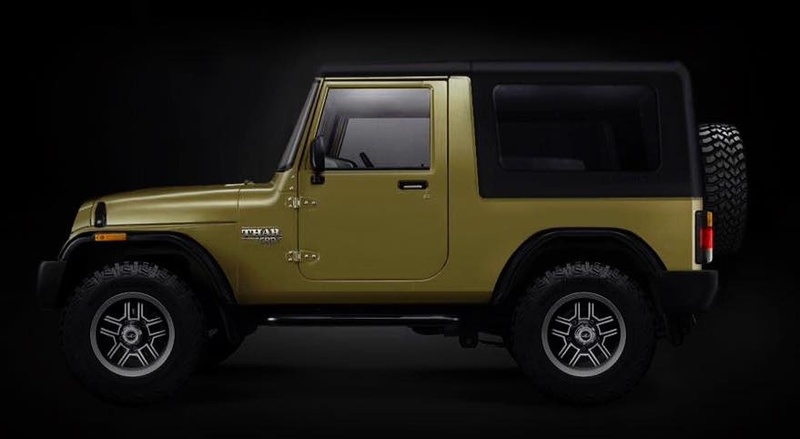 Here are a couple of rendering images of what the next gen Mahindra Thar could look like. The next Thar is expected to be built on a new platform and come with new engines as well. 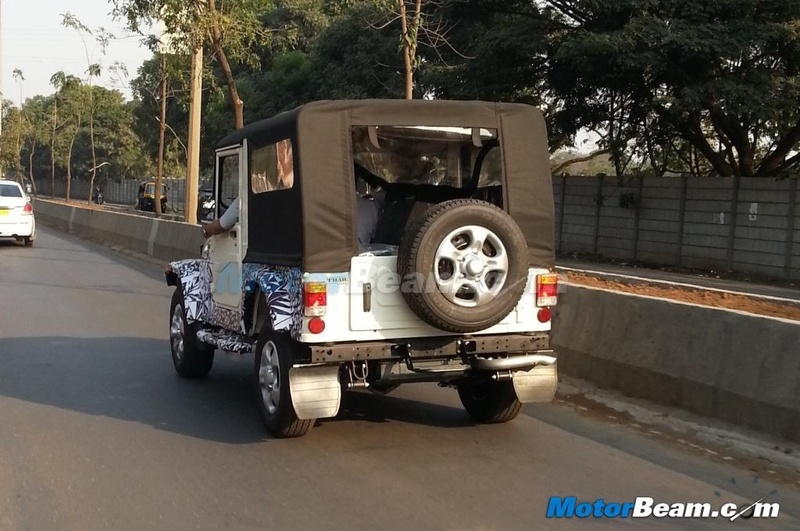 Styling updates are expected too but the overall Jeep image is expectefd to carry on. Since a facelift was just introduced last year, the next gen Thar could be a couple of years away. Remember the Thar Wanderlust customisation kit that was on display at the Auto Expo earlier this year? 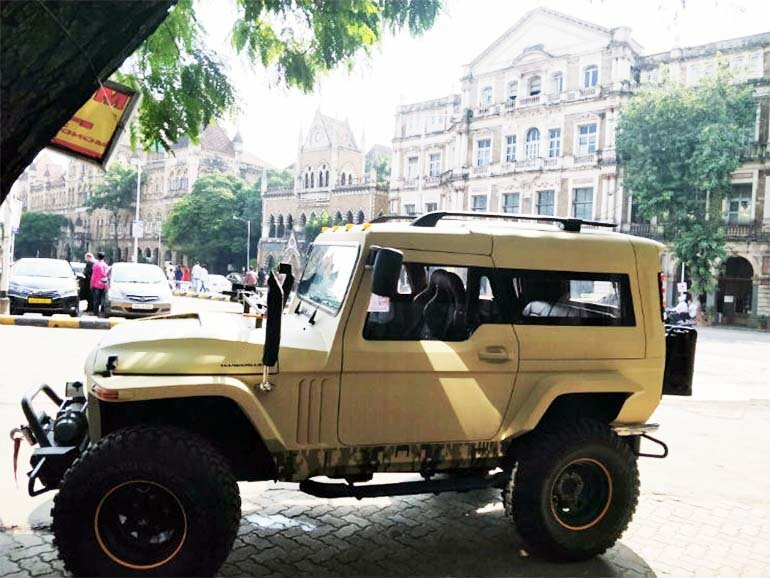 First images showing the modified Thar on the road have emerged online! 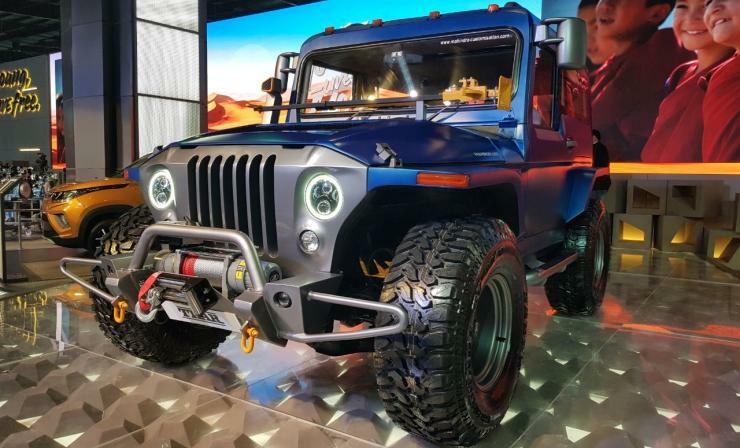 It gets LED projector headlamps with LED DRLs, LED turn indicators, and an off-road spec metal bumper with an electric winch, a new hood, gullwing rear doors, LED tail-lamps, two canisters, and a roof-mounted spoiler. Inside, the Thar Wanderlust gets full leather upholstery, sports pedals, an Android-based touchscreen infotainment unit from Pioneer, ambient lighting, and a head-up display. The side-facing rear seats have been replaced with a front-facing bench seat as well. 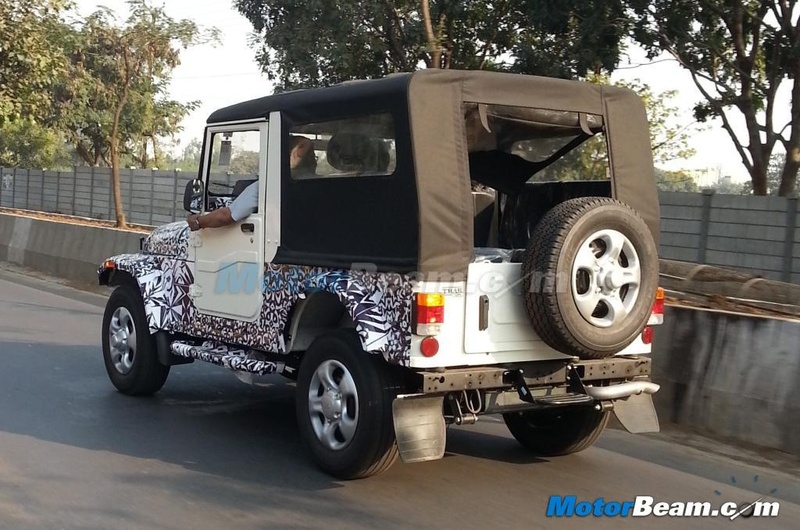 Mahindra's started road-testing the second-gen Thar! The new Thar is likely to sit on a new-gen modular chassis, making it longer and wider than before. According to reports, it will be built with better quality materials on the inside and is expected to sport more creature comforts straight from the factory. The model will also be exported to multiple countries and is expected to come with a decent features list, including a touchscreen infotainment system. 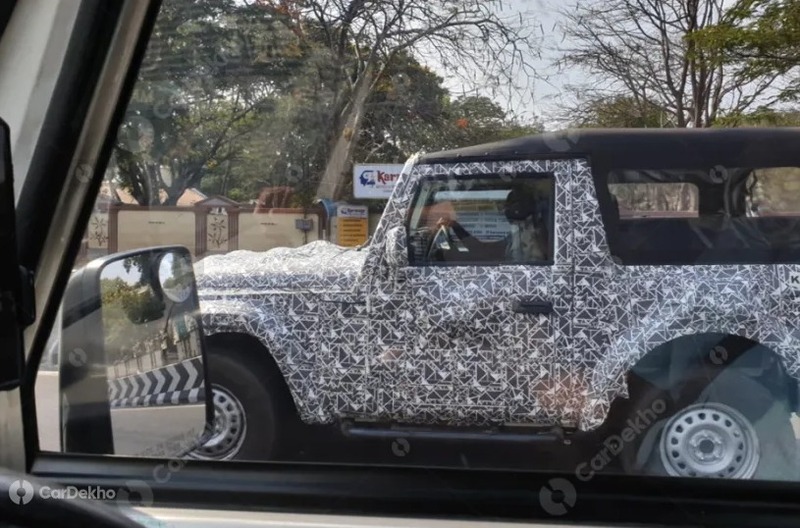 On the safety front, ABS, speed warning and dual airbags are likely to be standard equipment on the new Thar, along with crash-test compliance according to the upcoming norms that come into effect from April 2020. As far as engines go, Mahindra is likely to use the latest 2.2-litre mHawk engine. It will be tweaked for more refinement and BS-VI emission compliance. 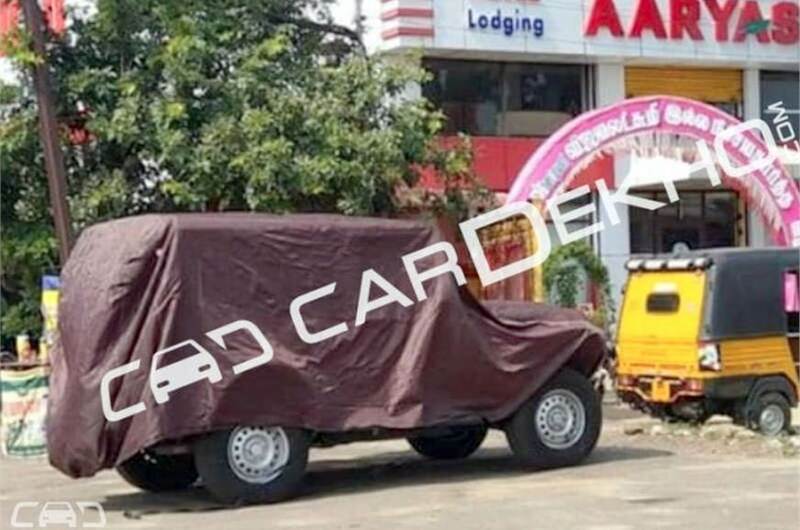 Some new spy pics of the next generation Thar… unlike before, this test mule seems to be sporting production spec body panels.